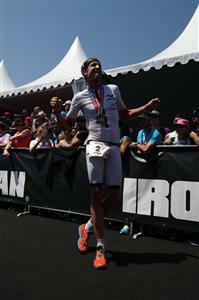 2:42:05 marathon for Victor del Corral. That's gonna be close in the women's race as well. Lisa Roberts is 2:07 behind the lead at Km 31.5. 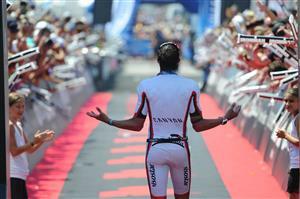 8:48:02 - Sylvain Sudrie is our 4th pro to cross the line. 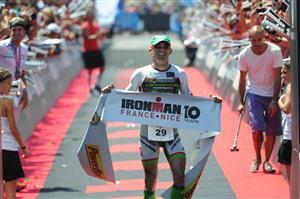 Happy, over the moon: Boris Stein wins his second IRONMAN title in Nice. 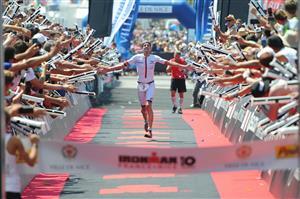 Sensational age group finish among the best pro athletes: Timothy van Houtem from Belgium takes the win in his category 30-34 to finish the race in 8:44:48. Fourth place overall! Emma Pooley is on the final lap - 11:55 behind Caitlin Snow in third place. 5.5 kilometer to go for Caitlin Snow. 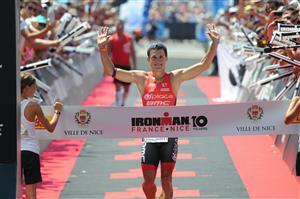 Victor del Corral ranks second - as in 2014. 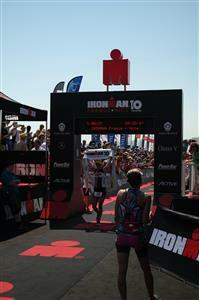 The battle is on for the women's decision: The gap between Caitlin Snow and Lisa Roberts is 1:23 at Km 36.75. We had a sensational age group finish in the men's race - and we might have a similar finish in the women's: Linda Guinoiseau is in 4th place at Km 31.5 of the run, category 40-44. Cait Snow keeps the pace high - she has about 1500 meters to the finish line. Emma Pooley is still in third - she is at 14:20 through 36.75 km of the run. 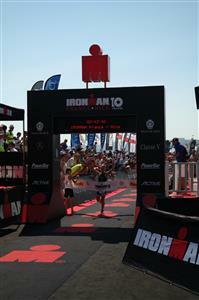 Caitlin Snow runs along the IRONMAN Expo - just a few moments to bring it home. 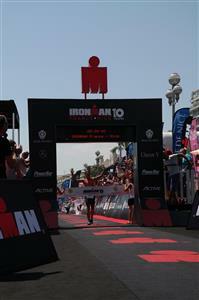 Here she is, IRONMAN France champion 2015: Caitlin Snow. She takes an impressive win in 9:24:50. 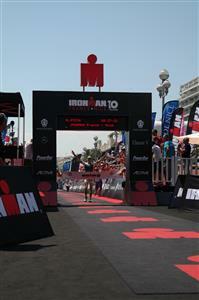 Lisa Roberts wins silver in 9:26:00 - what a close finish! 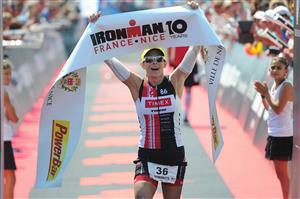 Caitlin Snow had a 57:43 swim, a 5:22:00 bike ride and a 2:58:26 marathon to take the title today in Nice. 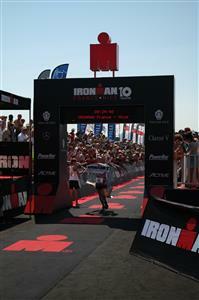 Emma Pooley takes third place in 9:43:48. 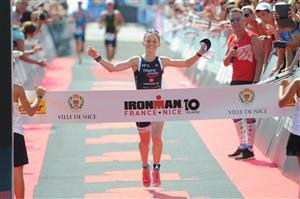 Emma Pooley is the third pro woman to finish at IRONMAN France 2015 ! Linda Guinoiseau has a outstanding finish here in Nice - in 9:43:09 she is 39 seconds faster than the third pro woman, Emma Pooley. 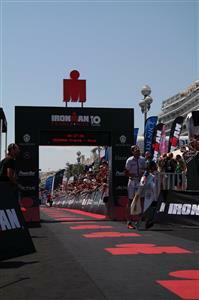 Looking forward to some more great hours of racing and unforgettable moments at the finish line - see you at the finish line party tonight or at the 12th edition of IRONMAN France in 2016!